and may your tears be that of joy. 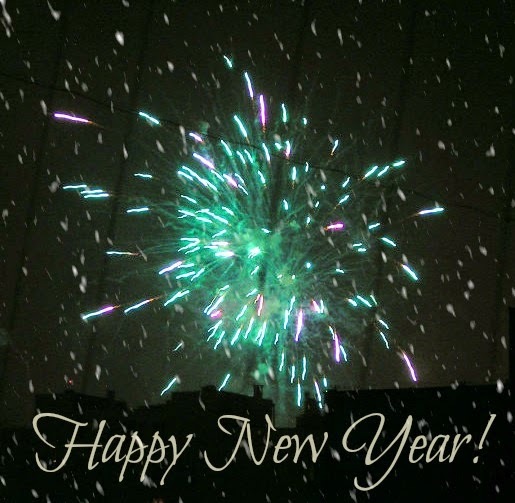 May 2010 be the best year of your life! Well, there's no need to dream about a white Christmas around here. It's been snowing all day. We've had to get out and shovel twice...'we' meaning Dear Hubby, in this case -- ha. I'll have to take my turn at it, but I've been in the midst of making ginger cookies, a banana nutmeg loaf, and now the makings for sugarplums await my return to the kitchen. The day started out... looking like a Christmas card. Everything was covered in soft fluffy snow. Perfect for snowman building. An interesting Christmas present I remember getting was a... doll that walked. The only thing was, she had one leg shorter and so she didn't 'walk' very well. As a child, I imagined she had polio, as one of my older cousins walked with a limp from having contracted polio. I named my new doll, Joanne. One Christmas carol I love listening to is... Once in Royal David's City. I love how the one lone voice begins as if far away and then the one voice is joined with others, building the momentum into a magnificent expression. This one tends to give me shivers down my spine. For me, Christmas begins when... I've been to a concert where I can join in the carol singing. And if I don't get to one, it begins when I start humming my favourites around the house or in my car. Years ago, I used to sing in a choir and every year we'd do a big event for Christmas called The Singing Christmas Tree. A gigantic stand was erected and festooned with tree boughs and thousands of lights. The choir members would stand on this and sing from it. It was quite the experience. And so, we come to the last few days before the big event. Here's wishing you peaceful 'sugar-plum' dreamin'! Here's hoping you're enjoying a pleasant day. 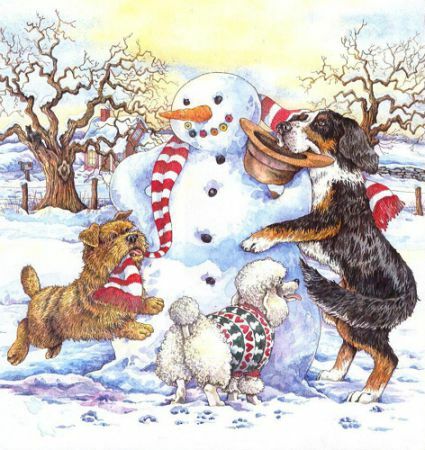 I've also been enjoying a couple of Christmas stories from the library -- The Perfect Christmas by Debbie Macomber. 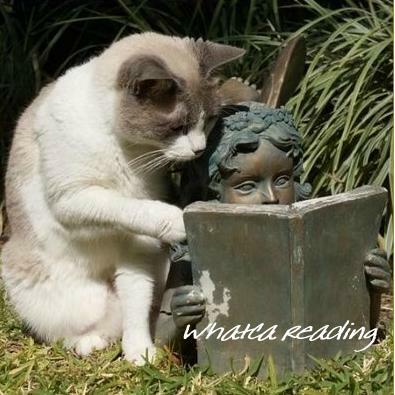 It's a fast and light-hearted read for those curl-up times by the fireplace. I'm not usually into the 'romance' novels, but this one was fun. The other one was The Handmaid and the Carpenter by Elizabeth Berg. The author takes the story of the Nativity and muses 'between the lines' about what this historic event meant to Mary and Joseph. It gave me an appreciation for what they might have experienced and encountered. I enjoyed the story. It's hard to believe the countdown is so near now. Only nine more sleeps (or eight if you count Christmas Eve as the beginning of Christmas, as I do). The sun shines bright on snowy banks this morning. Our weather has been a bugbear these past few days, but we're into a 'thaw' --- well, not quite, but after that -36C stuff, anything above -20C feels like we're near the banana belt. Best be off.... I'm baking Almond Cherry Balls today. 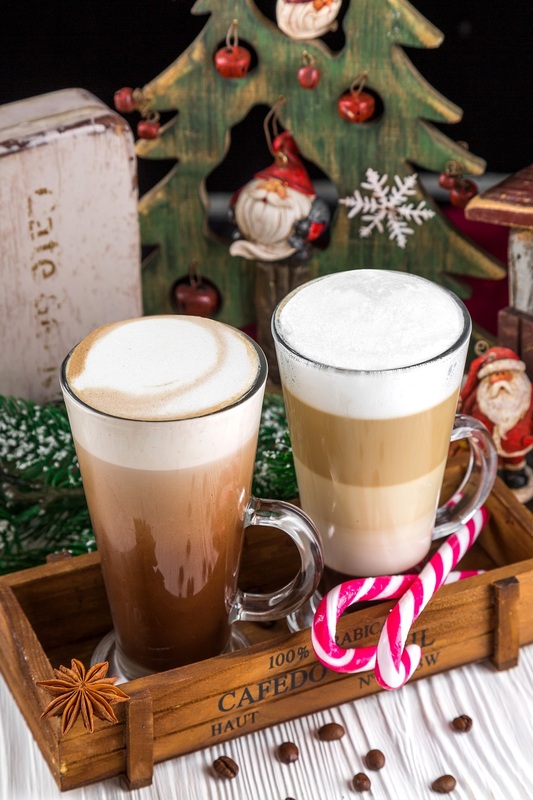 Hubby and I were chatting one day about our favourite and not so favourite traditions -- what we enjoy the most about the holiday season and what we enjoy the least. When I grew up and had my own place, I loved starting Christmas early in the season. Usually the first flakes of snow got me in the Christmas spirit. 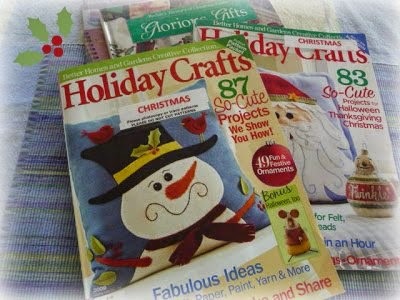 I would start my shopping early, listening to the old familiar carols, watching the movies, getting in the mood, or crafting new decorations and handmade gifts. I didn't have a problem dreaming about it when autumn days drew us nearer the fireside, and I certainly loved the idea of decorating my house at the very beginning of December. When I met Rick and we married, he didn't have many 'traditions'. He'd put lights up on the house outside, but didn't decorate a tree. And, he didn't often go home to visit his family, who lived in another province. He often spent Christmas Day with special friends closer to home, so his celebrating was simple. Then I came along and turned everything up-side-down for him. I'd start playing carols weeks before and want to put the tree up early, etc. And he was usually not as enthusiastic as I. Not that he ever stopped me from sallying forth, but he would just tease me about it being way too early and he'd have to call the "Christmas police". I just figured it was because he wasn't used to it. But then we had our chat and that's when he shared that he didn't really enjoy spreading out Christmas so far and wide across the weeks. To him, if we celebrate days and days of holidaying, what will then make December 25th special and set apart? He had a point! So I said, well, let's make this Christmas more like what he would relish and not spread out the festivities too far in advance. I was happy enough to share the new experience, because in truth it was an old one for me. 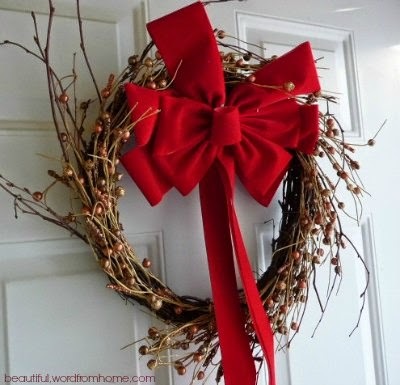 For, as a child, we didn't decorate our home until just 2 or 3 days before Christmas. (You didn't want the real tree to dry out before the actual day.) And most of our festivities were just those few days right around Christmas, just before and between Christmas and New Year's. I refrained from shopping (yes, even shopping), planning menus in advance, holiday baking, playing the carols, and decorating until just a couple of days ago. I did read my December Victoria magazines and dream, but there was no actual activity happening. Anticipation grew as we waited. So now that we're only 13 days away, this new experiment has revealed something very interesting. It's like the essence of the holiday has distilled into something more potent, and has created something where we're not jaded by all the hubbub, but there's a building up of something eagerly looked forward to. It feels more akin to that feeling of anticipation I had as a child. That's it, starting things later this year has given me that sense of that fresh and new. Interesting, I thought. Now whether I do this every year, well, time will tell. But I'm enjoying this year. It's positively balmy this morning -- it's only -20C. Haha! 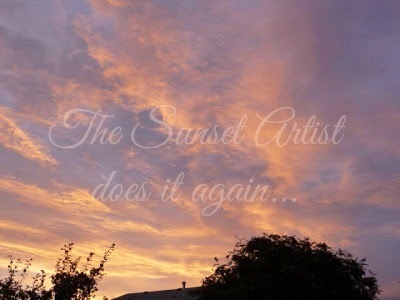 The skies look heavy with snow and methinks the sun has hied off to Hawaii today... no sign of Mr. Sunshine at present. Even so, I begin turning my thoughts with eager anticipation towards preparing for the holidays. My list today includes gathering my ingredients for some Christmas baking. 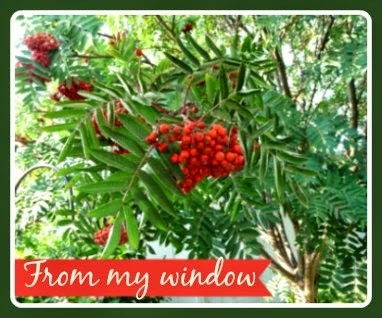 And, I want to put up the Christmas tree. We're a lot later at putting it up than most years -- but I have had my fig tree in the living room festooned with tiny white lights for weeks, so we haven't been totally bereft of cheery lights and cozy ambiance. I just looked out my window. Snow crystals are forming and falling, so I may need to add shoveling to that to-do list. 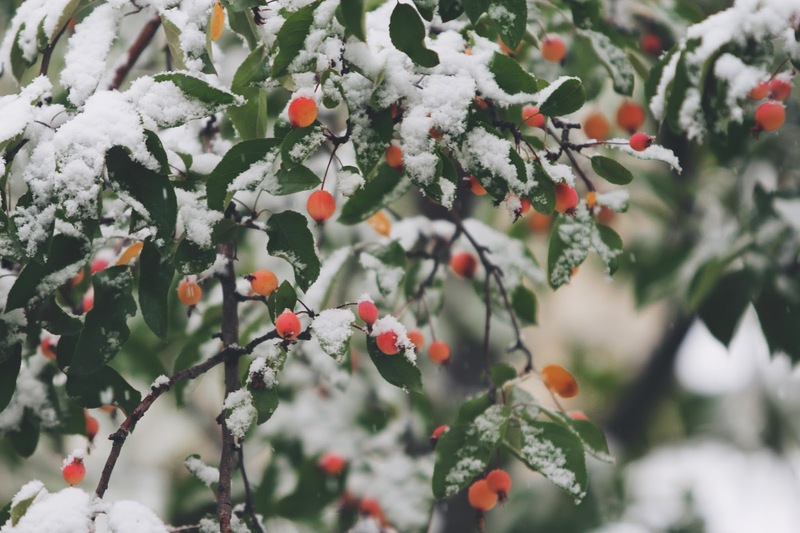 If you've followed this blog for a while, you may recall that I actually prefer snow shoveling to lawn mowing, so I won't mind bundling up for a brisk workout on the driveways! Wishing you happy thoughts today. Brrrrr.... it was cold here today, but the sun was bright and skies were that frosty clear blue. A perfect winter's day. 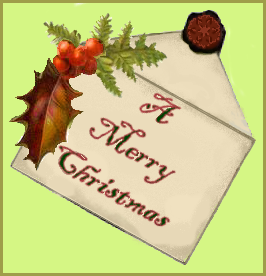 "Christmas is not just a time for festivity and merry making. It more than that. It is a time for the contemplation of eternal things. The Christmas spirit is a spirit of giving and forgiving." 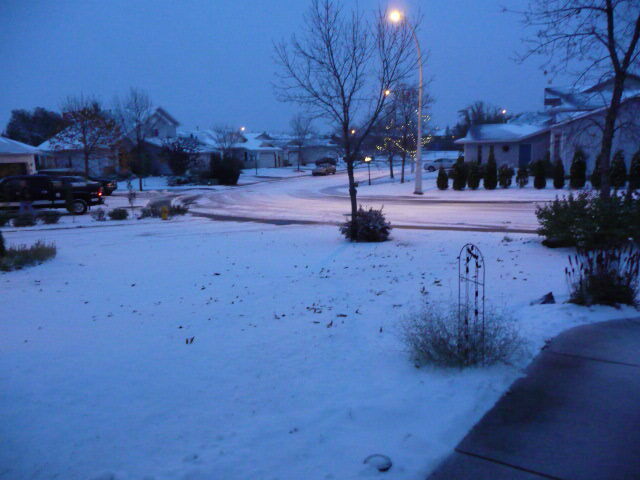 I love winter! Yes, even during a snowstorm, especially when everyone is home safe and snug. Yesterday, there was quite the blizzard around here. A real winter snowstorm. This morning, we woke to find it had stopped snowing and the wind wasn't howling. Being a sturdy Albertan, I donned my winter things and maneuvered my way out of the driveway, up the deeply rutted street, laughing that my trusty car could find her way through the snow piles without getting stuck. Of course, we did keep our fingers crossed that there wouldn't be any useful car parts scraped from the bottom of my car ... for the ruts made by early morning traffic were d-e-e-p.
Now that our town is all wrapped in its winter wonder-wear, that means Christmas must be getting closer too. Do you see my eyes lighting up? In fact, the reason for my venturing forth on this frosty morn was to meet with friends to garland and festoon our little church meeting place for this holy and festive season. Here's a question: After you've decorated your tree with all the pretty lights and decorations and tinsel, do you turn off all the 'big' lights and stop in that first moment to stand in awe -- with childlike wonder -- at how magical it all looks and feels? And you find yourself feeling like a kid again? Yes, here in Alberta, we're in the midst of winter. It's snowing and blowing across most of the province. No sign of those romantic fluffy snowflakes of a few days ago. Although minuscule in size, you can feel their determination to get the job done and completely whiten our world today. 'Tis a good one for staying indoors. With a few more clients' newsletters to complete, I'll be happy to watch the storm unfold from the comfort of my cozy office. Earlier this morning, I gathered the ingredients to simmer a pot of chicken soup for lunch. So guess what's wafting up the stairs? 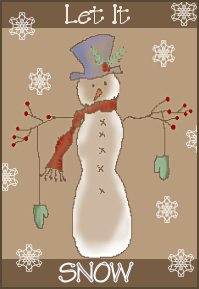 Methinks digging out the seasonal jigsaw puzzles and setting them up by the fireplace would be a good idea too. 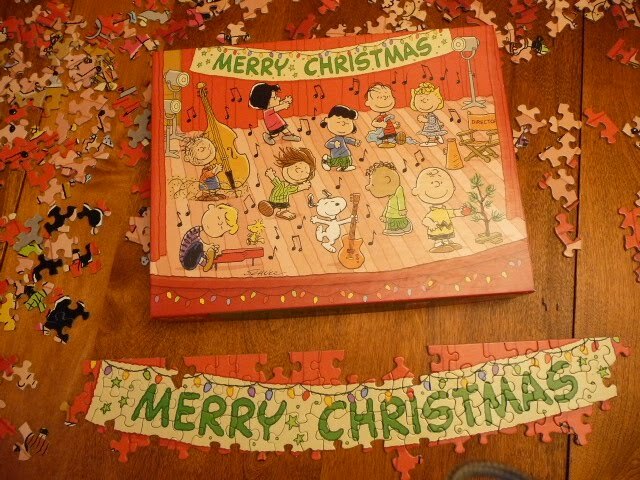 Perhaps the Charlie Brown puzzle I enjoyed piecing together last year. Funny, I enjoy Charlie Brown more now than I did as a child. Maybe Charlie's loneliness seemed too close to home to feel comfortable when I was little. Whereas now, I rarely feel lonely, for even when I am alone, I'm always reminded of the truth that the Divine One promised He'd never leave nor forsake me. So now I often feel like dancing with Snoopy's abandoned joy! Here's wishing you a great day! And if you're interested in knowing exactly what I mean by 'great day', you might want to pop over to an earlier posting to find out. Click here. And the weather was cool and icy today -- no sign of fluffy flakes either. With my monthly newsletter needing to be done this week, I've chosen to share an article originally posted last year as my offering to you on this first day of December. I hope you enjoy. For those of us who love Christmas, we can gleefully start our holiday preparations in earnest. Which, of course, means focusing our attention more closely on the gifts we want to give this year. One of my favourite ways of expressing love to the people in my circle is to give them gifts. I love finding or making little treasures that I hope will give them pleasure, as well as convey my esteem and affection. After reading Gary Chapman's book on the five love languages, I realize that gift giving is probably one of my primary love languages (words of affirmation right up there as well). I love shopping for presents at Christmas time, although I have to admit my most favourite times of the year to give gifts are those times in between, when no one is expecting them. It's the surprise element that I adore. Sometimes it's easy to get caught up in the social obligation of gift giving at this time of year. Instead of feeling a sense of joy and wonder, we can feel the pressure of giving because it's expected of us. I don't know about you, but I don't want to receive something from someone if they only feel a sense of duty to give it to me. I don't want to give in that spirit, either! For me, I want my gifts to be an expression from my heart. Whether our gift comes wrapped in shiny paper or a note with gentle words of affirmation, or an offer to provide some act of service or spend time together, it doesn't matter if we're two or ninety-two, we are all looking for that little something that says, "You I cherish....you I notice." As we prepare ourselves for this special holiday season, may the gifts we choose be ones that come from hearts filled with affection, esteem and love. Now that's living life beautifully! Had a wonderful afternoon at the library. Although I recently completed my goal to read 25 library books during this year, this doesn't mean I'm not up for enjoying more as the year winds up in a couple of months. I walked through the doors and saw the library's new acquisitions sitting on the 'look at me' shelf. One book that caught my eye (even if it is a little early) was The Christmas Secret by Donna VanLiere. I haven't read anything of hers before. According to the inside cover, this novel that 'reveals how the greatest gifts in our lives are sometimes discovered beneath the biggest boulder in the road.' I'm hoping for something warm and cozy. 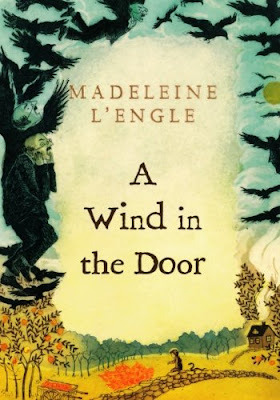 Next....I'm hooked and so I went in search of another children's adventure novel by Madeleine L'Engle. Many Waters is a story about 'run-of-the-mill' twins in the extraordinary Murry family. Nothing especially interesting has ever happened to Sandy and Dennys. Nothing, that is, until the bitter cold afternoon when, fooling around in their parents' lab, they type on the new computer: TAKE ME SOMEPLACE WARM, SOMEPLACE WARM AND SPARSELY POPULATED. And tessering across time and space, Sandy and Dennys are suddenly in a harsh desert land where, if they believe in unicorns, they can find unicorns..."
Then I followed my nose up and down a few other aisles and something by Valorie Burton caught my eye. Wait a minute, I recognize that name. I signed up for her informative and motivational e-mails a while ago. She's a personal life coach and I've always enjoyed her timely advice and encouragement. So I added to my growing pile her copy of How Did I Get So Busy? The 28-Day Plan to Free Your Time, Reclaim Your Schedule, and Reconnect with What Matters Most. I don't know about you, but I'm often drawn to books by their front covers. So when I found this book with a fifties style dress on the cover that has cut-out tabs for paper dolls, I had to pick it up. (I loved playing with paper dolls when I was a girl!) Author Penelope Lively has written a fiction novel entitled Making It Up. She writes a story about her life as she imagined it might have turned out if she'd made different choices and experienced other circumstances. Mmm ... gotta add that to my growing armload. And that's my haul for this week. Now comes the hard part -- which one do I start first? 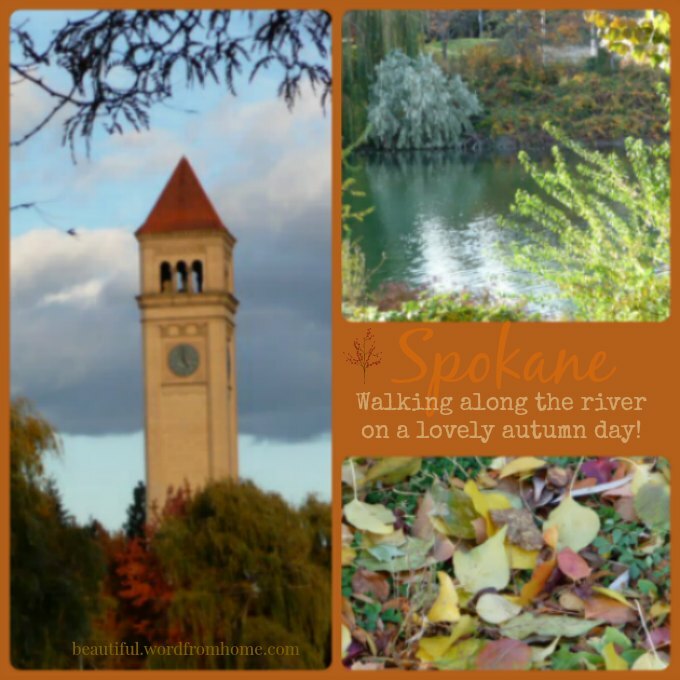 Spokane is lovely city to visit. We enjoyed a wonderful few days away -- we had gorgeous weather, got to spend time with a great company of people at a conference, and got to do a wee bit of sight-seeing too. 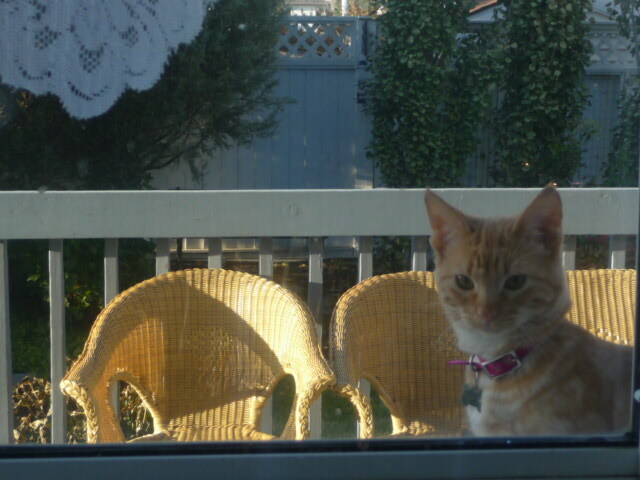 It seems everyone around here at home missed me ... I missed them too. Miss Kitty was so excited when I plopped my luggage down at the front door that she ran all over the house like an excited puppy. Although Hubby might not have expressed his joy quite in the manner of Kitty, he was glad to see me too! Now that I'm back, and we're nearing the end of the month, it means I'll be busy over the next few days working away on my clients' newsletters. But I'll be around to visit you dear blogging friends soon. It's been snowing and blowing. Now I want to dust off Christmas movies and other cozy videos like You've Got Mail, Wind in the Willows, Meet Me In St. Louis with Judy Garland, just to name a few. Making homemade soup for lunch. I started with my own chicken broth and then added: a can of red kidney beans, kernel corn, some grated zucchini, a chopped fresh tomato, 2-3 cups of Clamato juice, and for seasoning, salt, pepper, and cumin. I let it simmer about 30 minutes. It was very tasty, if I do say so myself! Visiting with my dear 92-year-old father-in-law, who came yesterday to stay with us until the end of the month. This is the man who still races in World Seniors Games, and just a couple of years ago ran at the World Seniors Games in Italy. I pray my hubby takes after him for longevity and good health!!! Reading my way through these books: Agatha Christie's A Pocketful of Rye, A Cellist in Sarajevo by Steven Galloway, and The Professor's House by Willa Cather. I just looked out the window -- it's snowing again, which makes it a perfect evening for sitting by the fireplace later tonight. I popped out to do some banking this morning and was pleasantly surprised to find a display of used books on a table at the bank. It was for a charity fundraiser. Of course I had to take a look... for you never know what treasure could be hidden amongst the rest of those dog-eared penny thrillers. Imagine then how delighted I was to find a old novel by Willa Cather. I first read about Miss Cather in the Victoria magazine years ago. I don't recall ever reading anything by her, but I always wanted to, so for a dollar, here was my chance to add The Professor's House, written in 1925, to my ever-growing pile of books to read. 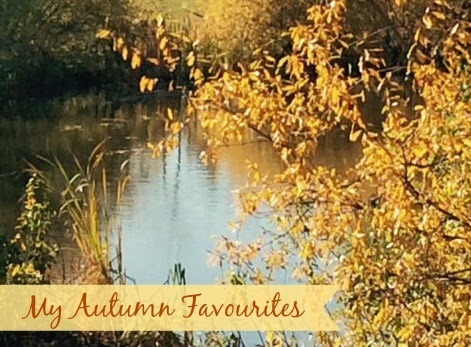 "On this September morning, however, St. Peter knew that he could not evade the unpleasant effects of change by tarrying among his autumn flowers. He must plunge in like a man, and get used to the feeling that under his work-room there was a dead, empty house. 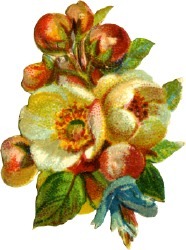 He broke off a geranium blossom and with it still in his hand went... ."
Today we're enjoying turkey leftovers. Well, I must say that was a short season. Let's see, we had summer weather until the end of September, then a few cooler, more colourful days that felt like autumn last week, and now yesterday, we woke up to wintry conditions, including icy roads, snow blowing everywhere, and winds that bite your nose and cheeks with a vengeance. So we're hunting up winter coats and gloves, not to mention cozy slippers and long sleeved sweaters. Ah, but that's okay. I like cozy slippers and sweaters. And, it's good weather for hot apple cider, not to mention sitting down to my mom's homemade sauerkraut potato soup for lunch. BTW, according to Ambrose Bierce, a sweater is a garment a child wears when its mother feels chilly. On that note, I wish you a beautiful day. 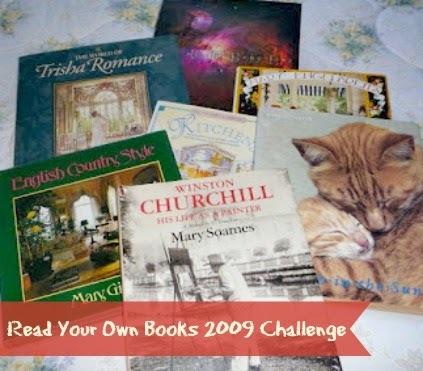 As the year starts to turn the corner on the last season, I'm well aware that I've still got a couple dozen books to finish for the Read Your Own Books Challenge. Thought I'd include a few of my coffee table books in the mix. Let's see...there's a gorgeous art book by Trisha Romance, a book about Sir Winston Churchill's life as a painter written by his daughter Mary Soames, the English Country Style decorating book by Mary Gilliant, a book of photography with the Hubbles Space Telescope, (snuck that one from Rick's side of the bed), Mary Englebreit's Outdoor Companion, an artsy book about Kitchens, and the sweet Asleep in the Sun book of photos of kitties sleeping in cozy spots in Greece. If I keep adding to the reading pile that's towering on my side of the bed, soon I'll have to crawl in from the other side. But what pleasure there is to snuggle in with a good book, a warm kitty on my lap, and one dear snoozing hubby on a chilly autumn evening. I am not sure why time seems to be a theme that comes up in my mind more often these days. Perhaps as I get older, there is that sense of dawning that the number of our days is not a limitless, never ending supply. And so, just as we take more care with our water supply during drought times, counting each drop as dear, so to my hours and days and weeks become more precious as another one slips into history. Which makes me want to live life more abundantly and joyfully and lovingly than ever before. 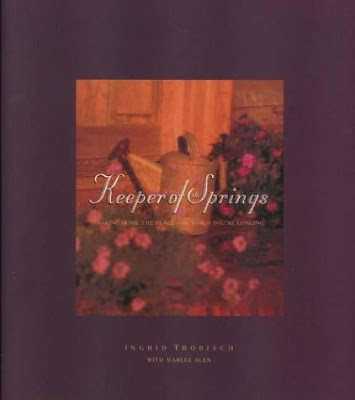 I just started reading this beautiful copy of Keeper of the Springs, Making Home the Place for Which You're Longing by Ingrid Trobisch (1997). "... The surrounding estate of green fields has been divided now. But each plot of two to three acres is studded by huge ancient trees with sprawling branches. When I purchased the home from Mrs. Crighton, my childhood teacher, she said, "I will sell you my house if you promise to do one thing every morning." "Stop whatever you're doing at ten o'clock....go sit on the front porch or backyard swing and just listen to the birds."